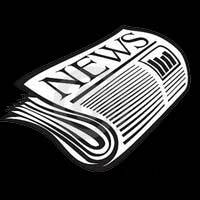 President’s Remarks – May 2018 | F.F.A.M. Please take the time and read the following names: Robbie, Albert, Julio, Kylee, Kevin, Harry, Blanch, Eugene, Sarah, Gary, Cynthia, Thomas, John, George, Benny, Carmelo, Amanda, Austin, Barbara, Wendi, Sandi, Dennis, Ruby, Verla, William, Sharon, Charles, Tyler, Cason, Max, Levi, Kathryn, Charles, Michael. These names belong to fellow Missourians, Moms, Dads, Brothers, Sisters, Grandpas, Grandmas, young and old, which are not among us, from dying in a fire. 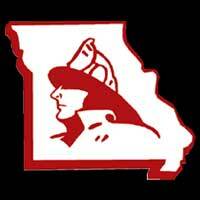 We have lost 43 Missourians already in our state from fire deaths since January 1. 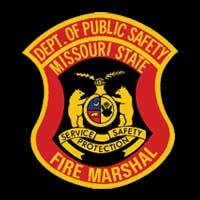 Presently Missouri is fourth in the nation in this category, one as the State Fire Marshal I am not proud of. You ask, how can we change this? Of all the names listed above only one had a working smoke alarm, or had smoke alarms. 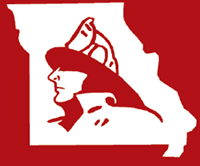 I know we as the Missouri fire service spend a lot of time and money on fire education and fire prevention. But could I challenge us to look at the “Sound the Alarm” initiative? We have joined with the American Red Cross in trying to get 1 million smoke alarms installed across the nation in 2018. 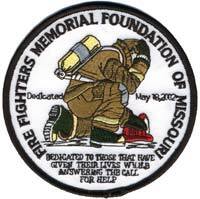 I believe the fire fatalities already in Missouri show we have an opportunity to save lives by joining this initiative. There are several testimonies where a free installed 10 year smoke alarm has saved lives. Could your department, city or county be the next testimonial? I have challenged all of us that work at the Division of Fire Safety to get our homes properly covered with the free ten year smoke alarms. Maybe that is where we start, led by example, the free ten year smoke alarms should be in your homes too Missouri firefighters! So you ask, could my department join this great “Sound the Alarm” initiative? Glad you ask, you can contact me here at the Division of Fire Safety and we will get you in contact with the American Red Cross representative in your area or if you have a relationship with your local Red Cross you can reach out to them. They will work side by side with your department; provide volunteers, language interpreters, battery screw drills, step ladders, replacement batteries for existing alarms, everything to make the smoke alarm installation successful. While I have your attention the American Red Cross informed me that many fire departments across the state do not use their services on structure fire burn outs. The American Red Cross provides free assistance to home fire victims! They will respond to your locations and immediately assist the families who have been displaced. They will provide them with free lodging, free food, free clothing, free pet assistance, free spiritual, mental counselling, etc. They will continue to support the family for several weeks, even months after the tragedy if necessary. While I was chief at West Plains Fire I kept them on speed dial. I felt it was our responsibility to take care of our customer as completely as possible. It brought some immediate relief to the fire victims. Having someone put their arm around you and say, “We are here to help you,” is priceless at that moment. Thank you, to everyone that attended the Firefighters Day at the Capitol. We had a great attendance, many visited there representatives and senators making those contacts that really matter. I reiterate please get to know your elected officials, it matters! We are going into summer which brings with it dry weather. If you need help we have fire mutual aid coordinators located in each region of the state. You go onto the division website and find your regional coordinator. Matt Luetkemeyer is the fire based coordinator for the state. Matt will assist you with finding help if you need it. He also takes care of Fire Department Registration, and NFIRS training (573-514-5284). In closing thanks for all you do, I appreciate you! If there is something we can help you with please give us a call, or Facebook us, or me.